MD72 rotary disc mower has an 6 ft 8 in cutting width, 5 oval cutting discs and cutterbar shock protection is standard. MD82 rotary disc mower has an 7 ft 10 in cutting width, 6 oval cutting discs and cutterbar shock protection is standard. 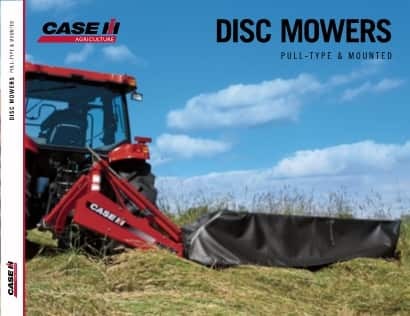 MDX41 rotary disc mower has an 7 ft 11 in cutting width, 6 oval cutting discs and a 540-rpm PTO driveline with overrunning clutch to protect the tractor driveline. Configure and price your new rotary disc mower. Customize it the way you want. Compare our rotary disc mower specs to other manufacturers' specs.